ShootProof users, you guys are going to love this! 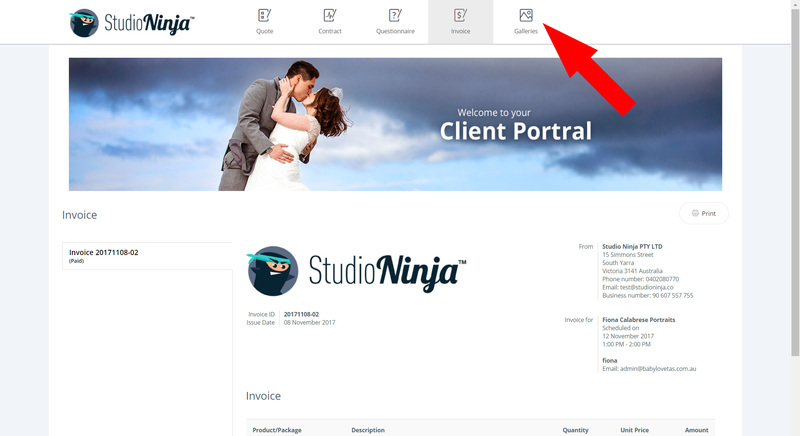 Once you have integrated ShootProof with your Studio Ninja account you will be able to create new ShootProof galleries or link existing galleries to your Studio Ninja jobs. 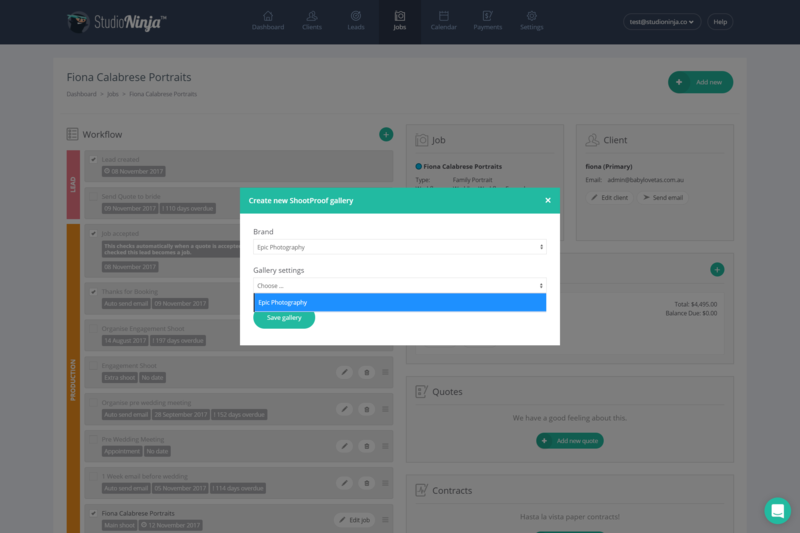 Jobs that have ShootProof galleries linked will also show a new Galleries page inside the Client Portal. Clients can go directly to their ShootProof client gallery from the Client Portal. 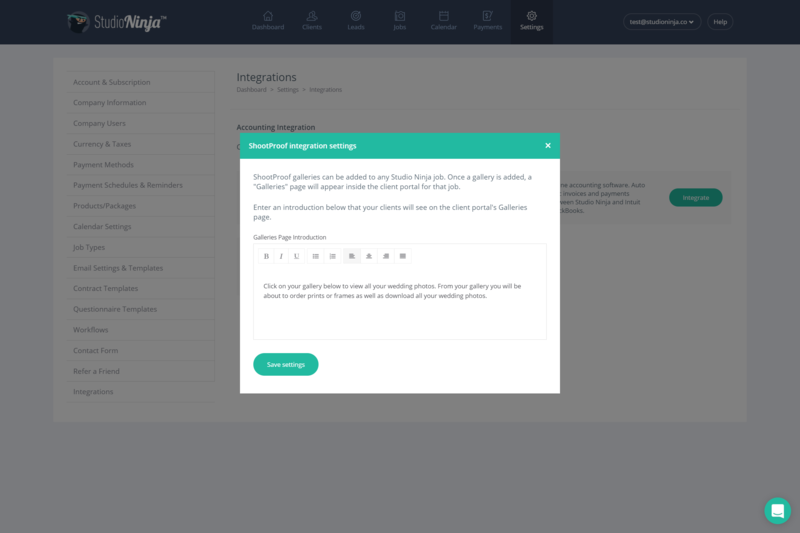 First go to Settings > Integrations and click the Integrate button inside the ShootProof box. 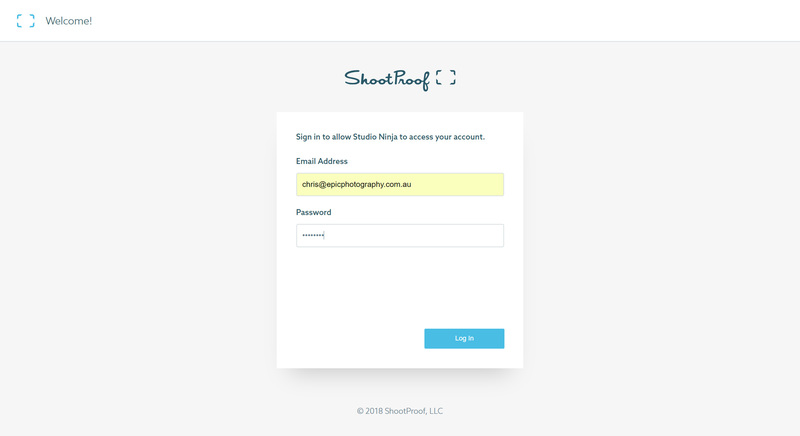 You'll be asked to login to your ShootProof account. 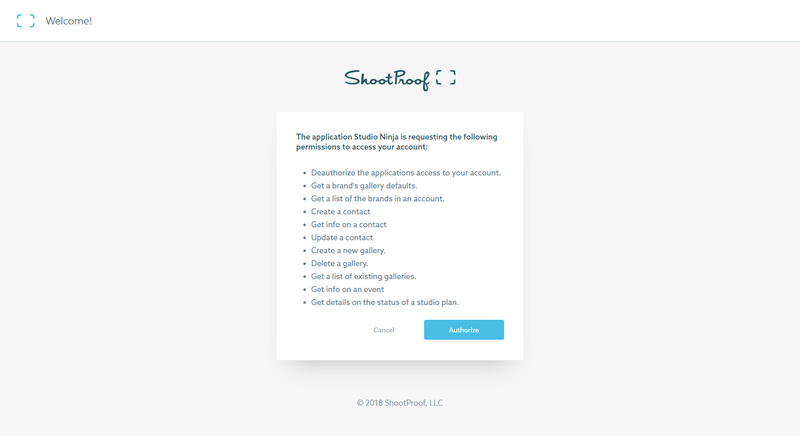 You will need to give permission to ShootProof to access your Studio Ninja account. Now the integration is complete. You can now click Edit Settings and enter an introduction text that your clients will see on the client portal's Galleries page. 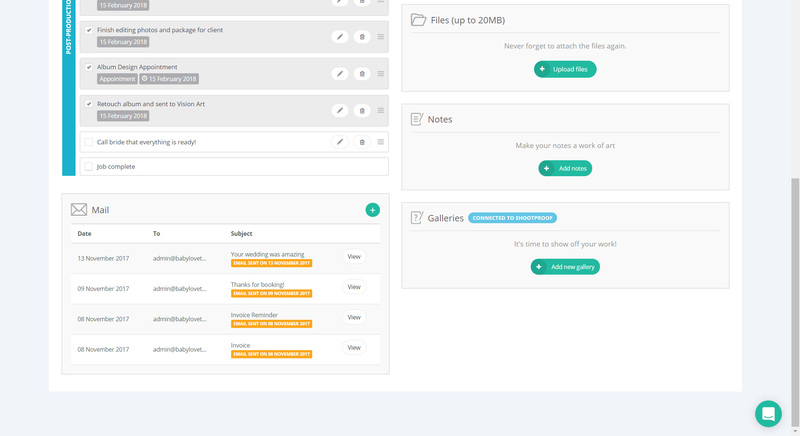 Go to any job and you'll see a new Galleries box inside the Job Profile page. Select existing ShootProof gallery: This means you can link your job to a gallery that already exists in ShootProof. 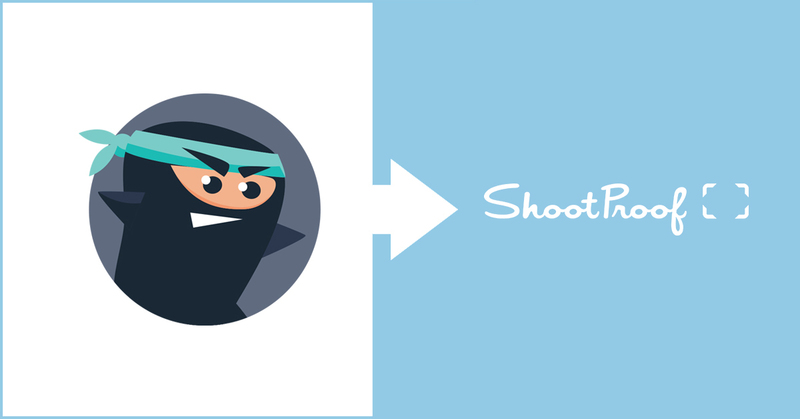 Create a new ShootProof gallery: This means you can create a new gallery from within Studio Ninja. To create a new gallery, click on Create a new ShootProof gallery. You will have the option to select which brand you want to assign to this gallery as well as which gallery settings to apply. View in ShootProof: this button will take you to the ShootProof settings page for this gallery. Delete gallery will obviously delete this gallery. As soon as you upload photos into this ShootProof gallery you will be able to see how many photos are in this gallery from within Studio Ninja. 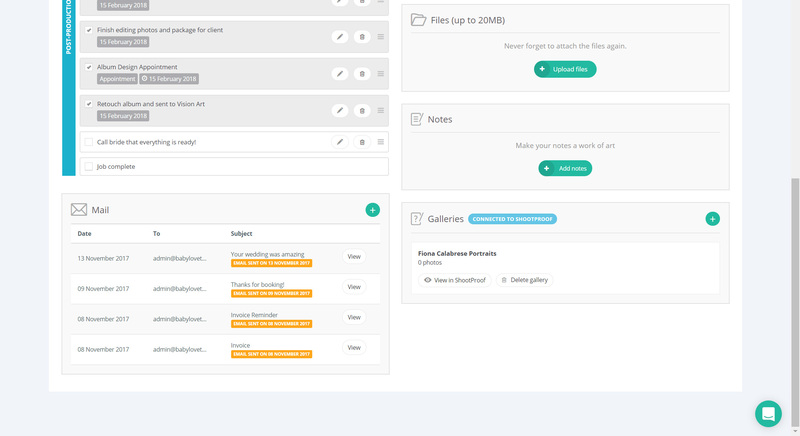 The client portal for this job will now display a Galleries tab. 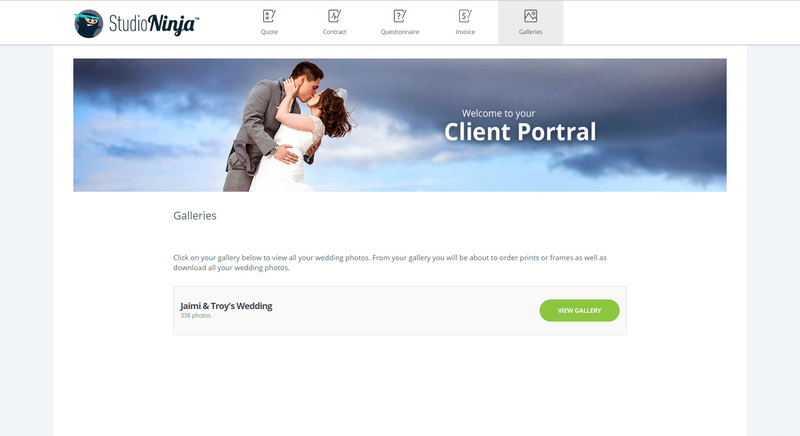 On the Galleries page in the Client Portal your client will see a direct link to her client gallery in ShootProof. 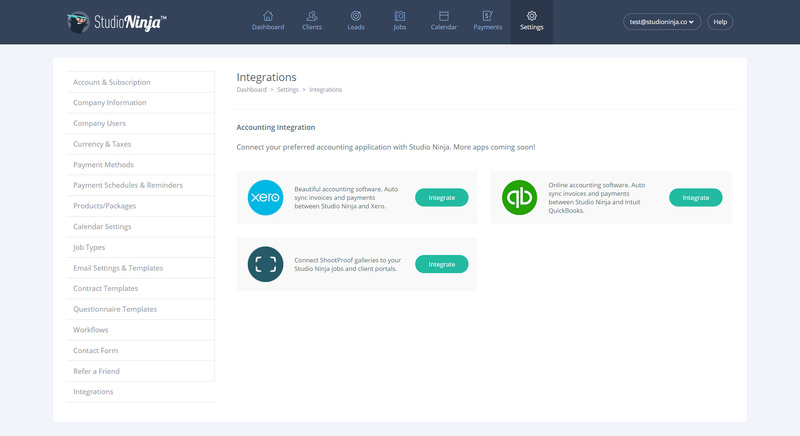 We hope you love this integration and it helps you to streamline your workflow.